Experience the heart and soul of New Orleans paired with Arizona fusion and flavor during the Southwest Cajun Fest on Saturday, April 23 at the Dr. AJ Chandler Park. The festival will bring regional dishes from some of the valley’s best restaurants and feature live music with jazz, blues and contemporary swing influences to transport you to the southeastern region of Louisiana. When the gates open at noon, join us for the puppy parade and procession to kick off the Southwest Cajun Fest! Presented by Angry Crab Shack, the Southwest Cajun Fest will feature some of the Valley’s best restaurants serving up regional dishes. Hungry patrons can enjoy amazing food prepared by Angry Crab Shack, Creole Cajun Bistro, Hogg Doggs, Honey Bear’s BBQ, Jamburritos Cajun Grille, JJ’s Louisiana BBQ, Raging Cajun Smoking BBQ, SanTan Brewing Company and Tee’s Concession. Taste authentic Cajun cuisine including Po’ Boys, crawfish, gator, jambalaya, shrimp Etouffee, a crawfish boil, charred oysters and a variety of other dishes and treats. Brought to you by Abita Brewing, festivities also include themed zones such as Bourbon Street, French Quarter, Garden District and more. 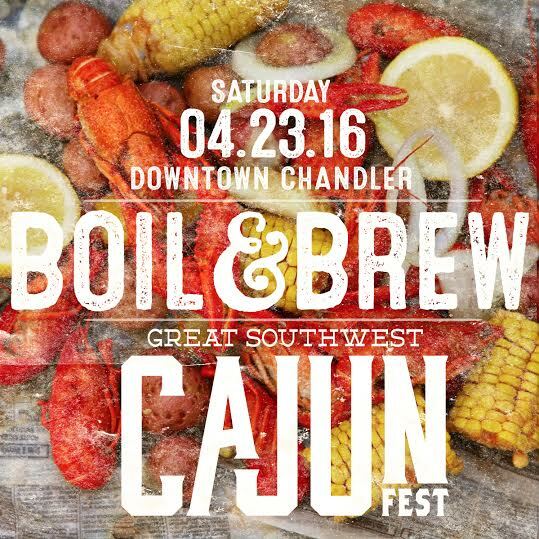 Challenge your foodie friends to a watermelon, Cajun wing or crawfish eating competition. Patrons of all ages are encouraged to dress in festive parade style attire and join in on the fun and celebration. The event will take place at the Dr. AJ Chandler Park—125 E Commonwealth Ave, Chandler, AZ 85225. ← Previous Previous post: It’s Time to Rethink Rosé!